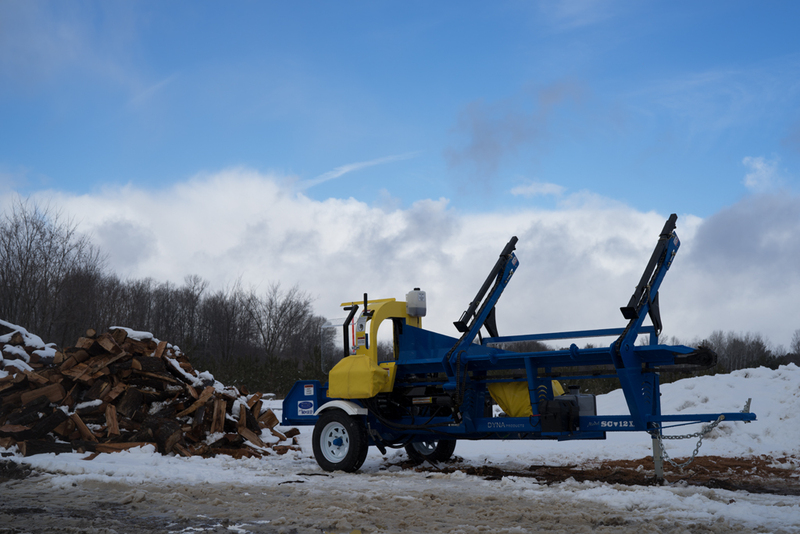 Using the same heavy-duty construction and design of our larger models, the DYNA SC-12 Firewood Processor is our entry-level firewood processor at an affordable price. 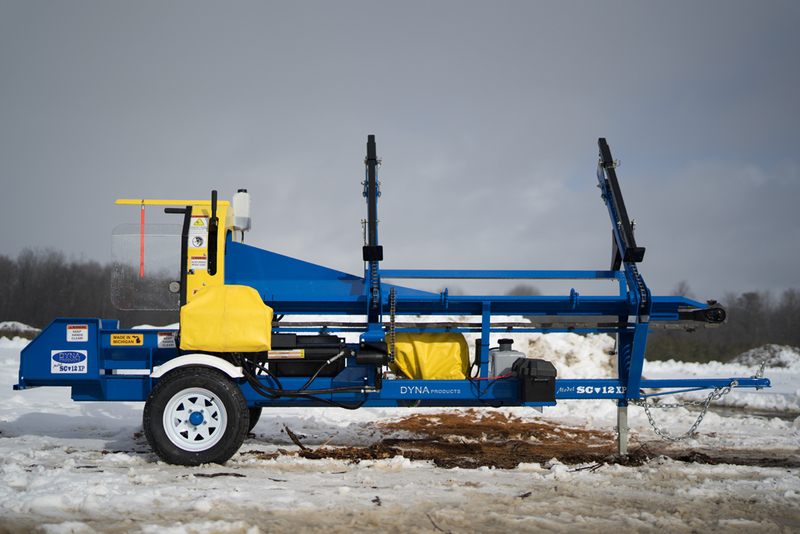 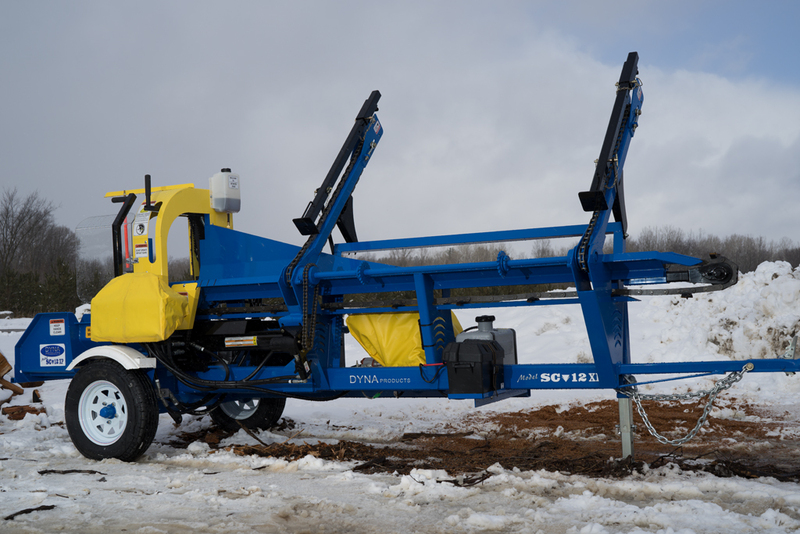 The SC-12 has the ability to handle 10’ logs up to 15” in diameter. 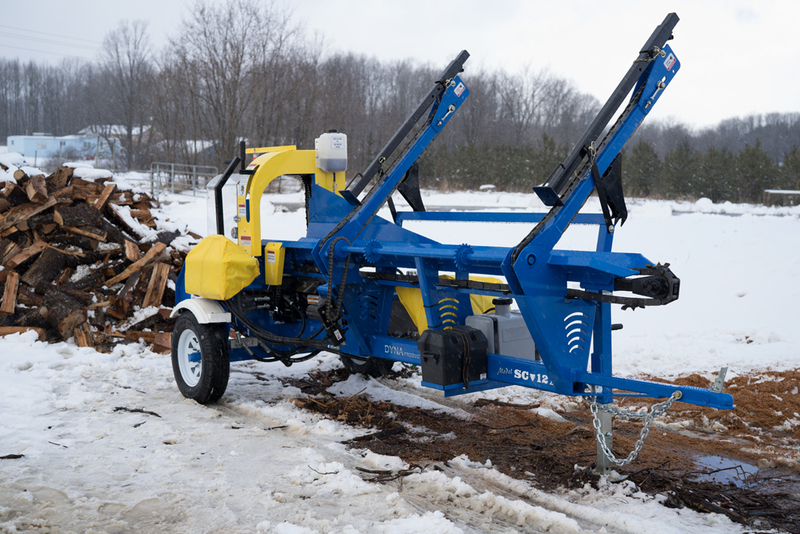 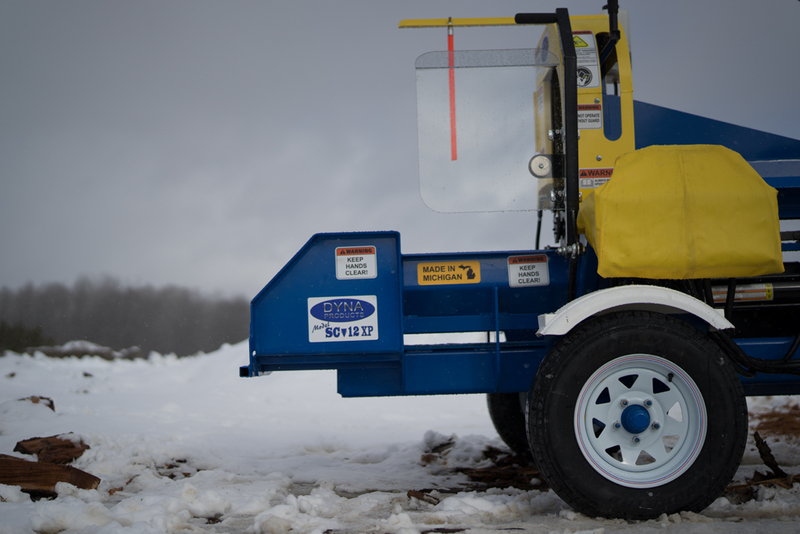 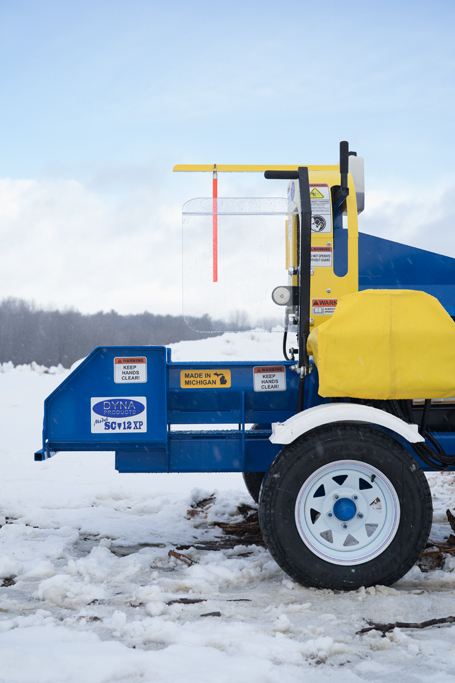 Quick to setup, easy to operate the SC-12 XP Firewood Processor performs smoothly with a reliable 20 HP Honda motor (13 HP Honda available on Non XP Model), allowing you to easily process one full cord of firewood per hour. 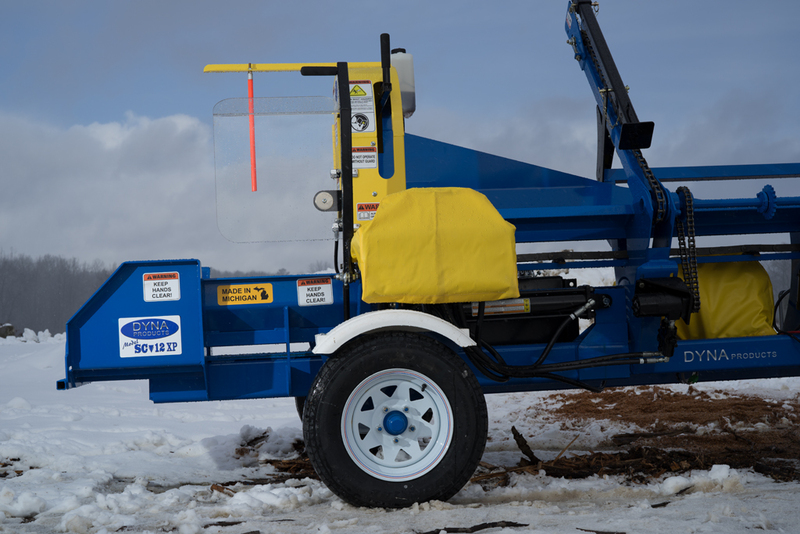 A heavy duty 18” harvester bar on the hydraulic saw cuts quickly. 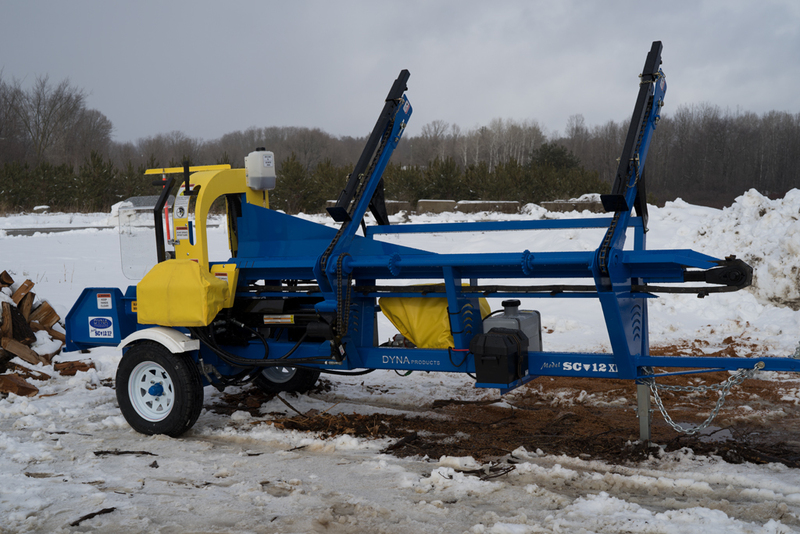 An 8 Ft. Conveyor and 4-way wedge comes standard, an optional 6-way fixed wedge is available (6-way bundling wedge limited to 10” diameter logs). 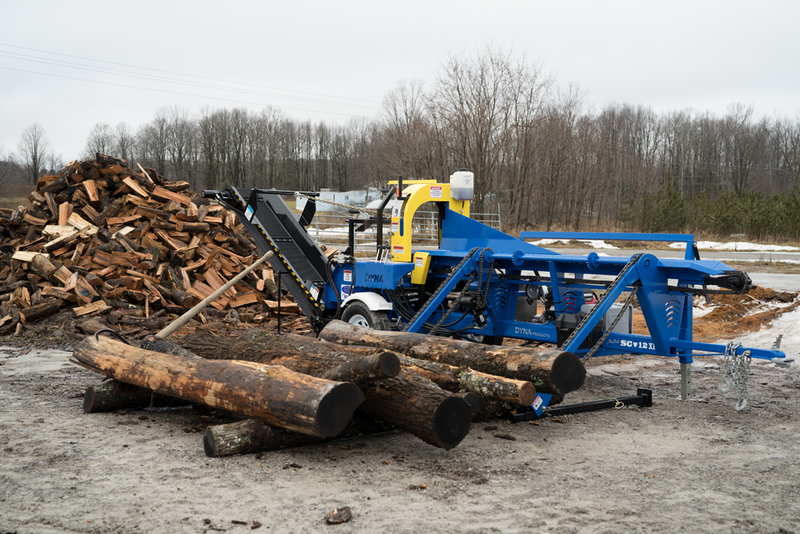 Logs are loaded into the machine and advanced into the cutting position with easy joystick controls. 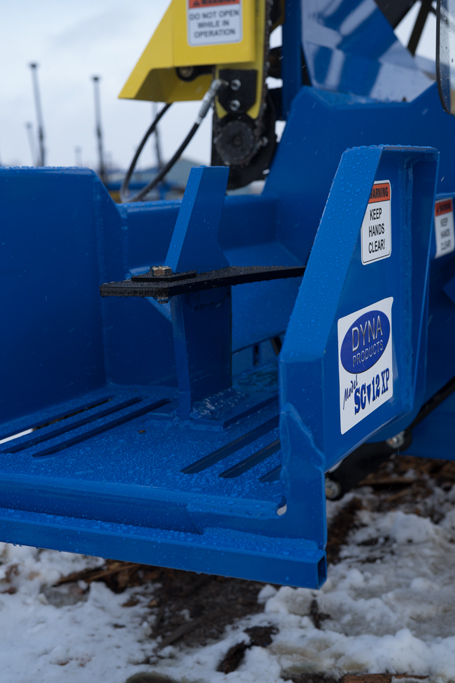 Once the saw bar and manual clamp are engaged by the operator, the saw starts automatically. 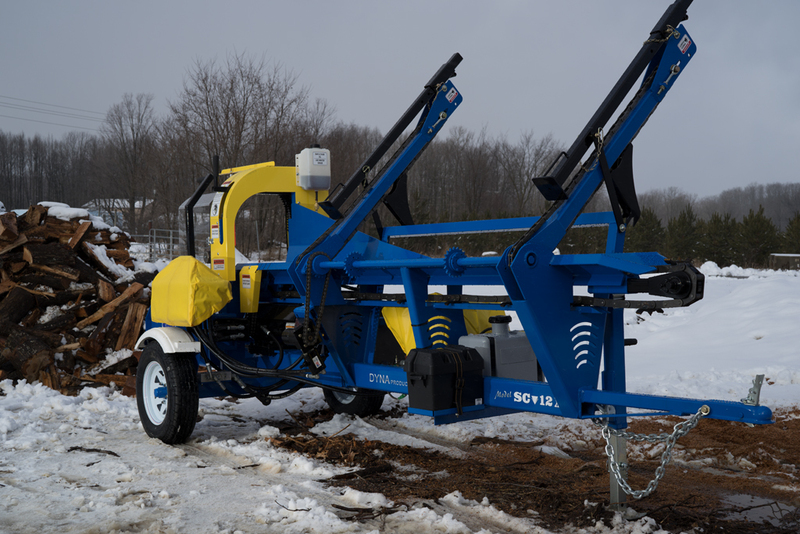 An optional hydraulic saw feed and log clamp is available.